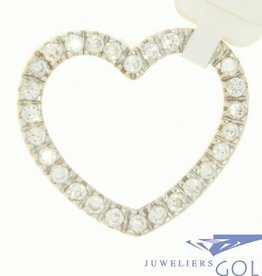 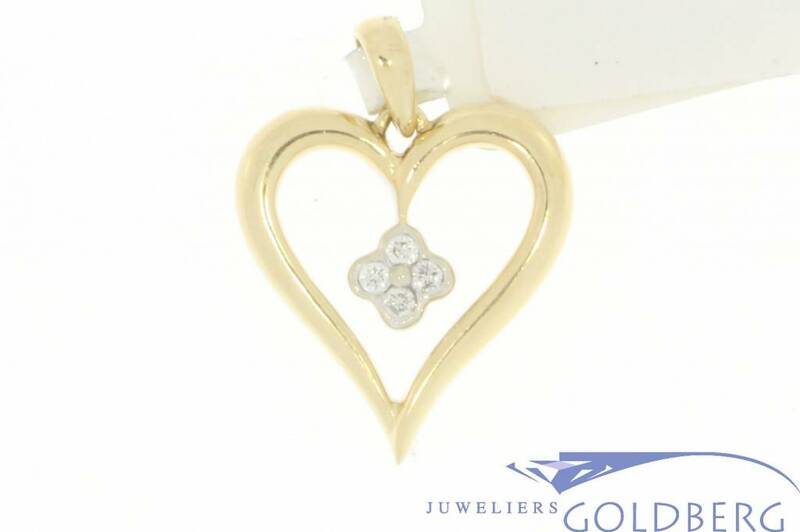 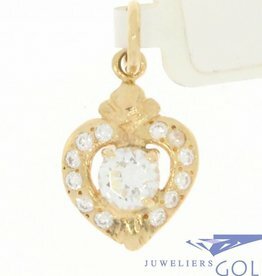 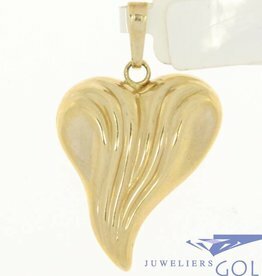 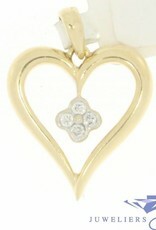 Beautiful and elegant 14 carat gold open heart-shaped pendant with brilliant cut diamond. 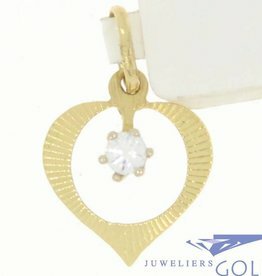 In the middle of the pendant the 4 diamonds are placed: a total of about 0.07ct. 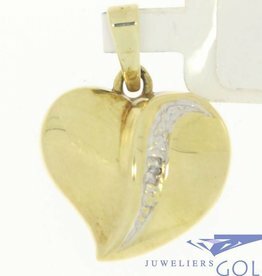 The length of the pendant (incl eye) is 21 mm, the width is 16 mm and the weight is 2.1 gram.